Mary Anne Graf is a skilled high-energy speaker, facilitator and coach who makes things happen. She has a combined clinical and business background which allows her to successfully bridge the gap between strategic, business, and clinical concerns, with solutions that break through barriers and expedite consensus and action. 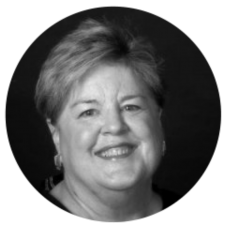 With three decades of experience in women’s health care nationwide and internationally, she brings a wide variety of pragmatic approaches to problems, and develops individualized solutions tailored to the needs of the institution, its staff, and the community. Mary Anne is a featured speaker and author on women’s and children’s health issues. Such includes visioning, market feasibility, marketing and implementation.